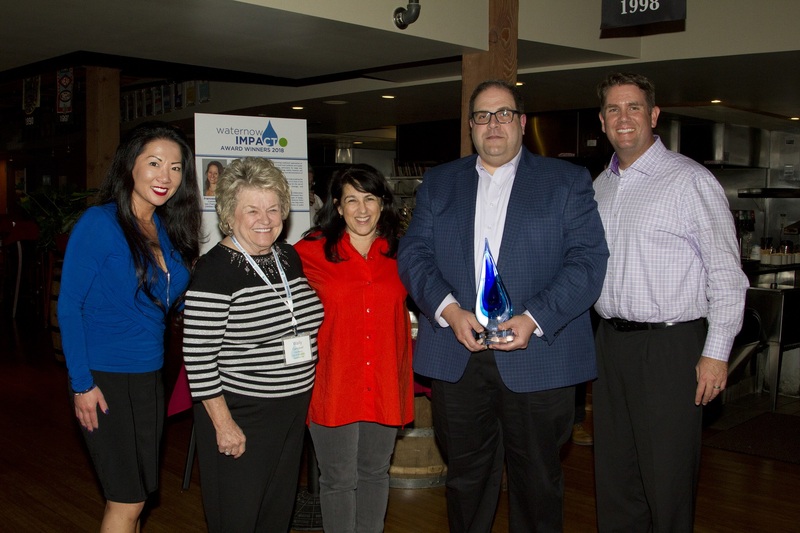 The Moulton Niguel Water District Board of Directors were honored with a WaterNow Alliance Impact Award for accelerating innovative and sustainable water solutions in the community. The award, which was presented to the Moulton Niguel Board at the annual WaterNow Alliance conference in Salt Lake City, exemplifies Moulton Niguel’s visionary leadership that has made the District a statewide example of innovation, sustainability, reliability, and water use efficiency. Under their leadership, Moulton Niguel continues to develop multi-faceted strategies for water reliability and environmental stewardship, data sharing, water efficiency, urban runoff reduction, and energy management. Innovative Partnerships: Leveraging data to better inform decision-making and resource planning by partnering with water agencies, cities, academic institutions such as Stanford and UC Davis, and private sector companies such as Facebook, Netflix, and Microsoft. Data Driven Analysis: Through its unique partnership with Netflix, Moulton Niguel saved $20 million in less than one year. By applying predictive modeling tools and analytics used by Netflix, the District was able to better forecast recycled water usage and realized that instead of building an expensive reservoir to store water for peak usage, the usage can be better managed to avoid the cost of building an unneeded infrastructure. Reducing Urban Runoff & Improving Water Quality: The Board approved an initiative to work with the County of Orange, neighboring cities, and local civic and environmental groups to exchange data and develop a public application for education and awareness regarding water efficiency, runoff, and its effects on water quality. This interagency partnership resulted in a historic memorandum of understanding in support of water quality enhancement in the region, and has the potential to save millions of dollars while protecting local creeks and the ocean from poor water quality. Water Use Efficiency: Through its turf removal program, Moulton Niguel has removed 5 million square feet of turf, which represents 25% of all turf removed in Orange County. This area makes up only 5% of the county’s population, yet, yielded a great impact by saving over 200 million gallons of water annually. Addressing the Water-Energy Nexus: Moulton Niguel is testing new ways to save money and reduce energy consumption with a project that could become a statewide model for meeting California’s energy management goals. Through a $3.1 million grant from the California Energy Commission, the District is working with UC Davis to use real-time energy analytics to develop a decision support system that adapts to changing energy demands and different electricity rate structures for the District’s potable and recycled water systems. Through these initiatives, and many more, the Moulton Niguel Board has saved millions of dollars for its customers while developing innovative strategies towards improving statewide sustainable water management.